Freedom Rockz: Get a Free Honey Bun! Get a Free Honey Bun! Get a free honey bun @ Xtramart. Click on the link below to go print the coupon. 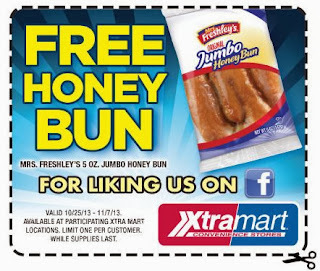 Take your coupon to your nearest Xtramart to redeem it for your free Honey Bun.